Dr. Catie Johnston-Brooks is a Board Certified Clinical Neuropsychologist (ABPP-CN) and an Assistant Professor at the University of Colorado School of Medicine. 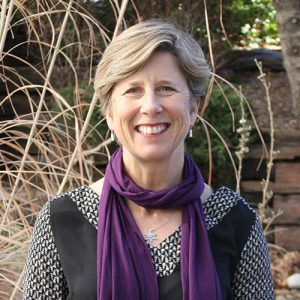 She is currently employed at the Marcus Institute for Brain Health (MIBH) after spending 18 years at the Denver VA Medical Center where she was lead neuropsychologist since 1999 and the psychology internship training director since 2010. Dr. Johnston-Brooks’ clinical and research interests are in the areas of neuropsychology, traumatic brain injury and dementia. In her role at the MIBH, Dr. Johnston-Brooks will conduct neuropsychological evaluations, provide feedback and education to patients and family members, and will be involved in clinical research. Dr. Johnston-Brooks believes that clinical neuropsychology’s role is to help patients, family members and clinical teams better understand individuals’ functioning so that the most effective treatments can be utilized to maximize recovery. Outside of work, Dr. Johnston-Brooks and her two teenage children enjoy music, outdoor activities, and traveling.